Policies can make a big impact on a country’s progress toward ending malnutrition, including both undernutrition and overweight, obesity and diet-related non-communicable diseases (NCDs). Responsibility for nutrition often falls across various government ministry lines, requiring a range of policies and involving multiple sectors and stakeholder platforms. Comprehensive policy action is urgently needed to address malnutrition in all its forms if governments are to reach global targets to reduce undernutrition and diet-related NCDs. World Cancer Research Fund International developed the NOURISHING framework to highlight where governments need to take action to promote healthy diets and reduce overweight and obesity and diet-related NCDs. The framework brings together ten policy areas across three domains: food environments, food systems, and behavior change communication. It can be used to identify double-duty actions: policy actions that have the potential to reduce the risk or burden of undernutrition and overweight, obesity and diet-related NCDs as opposed to policies that only address specific types of malnutrition in isolation. In this webinar, participants heard from World Cancer Research Fund International about their NOURISHING framework and policy database of implemented food and nutrition policies and how it can be used as a starting point for impactful policy development and implementation. 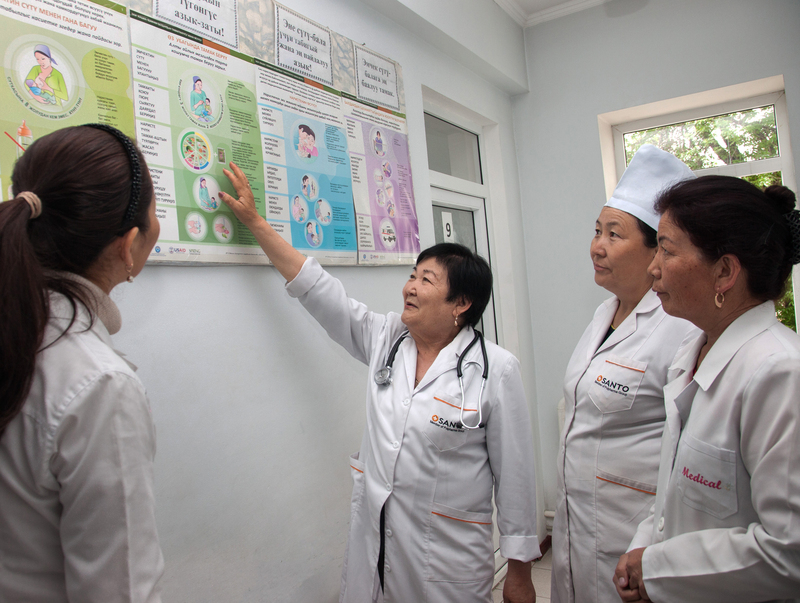 SPRING’s Pathways to Better Nutrition (PBN) case studies described what is included in current multi-sectoral nutrition policies and where harmonization with NCD policies might be beneficial. The Deputy Commissioner for NCDs in India provided a real world example of NCD policy and how they are moving toward more multi-sectoral, harmonized approaches. Ms. Sinclair advocates for the development and implementation of a comprehensive policy approach to promoting healthier diets at a global level to reduce the risk of diet-related non-communicable diseases. She currently leads the process for updating the NOURISHING policy database, which contains examples of implemented government policy actions from around the world. Ms. Sinclair is co-author of Ambitious, SMART commitments to address NCDs, overweight & obesity and Curbing Global Sugar Consumption. She holds a Master of Public Health from the University of Alberta (Canada), and has expertise in policies relating to preventing non-communicable diseases through diet, weight and physical activity. Prior to joining World Cancer Research Fund International she worked at the Canadian Cancer Society reviewing and synthesizing health policy research on cancer control issues. Ms. Pomeroy-Stevens has 14 years of experience in research and evaluation. She was principal investigator for the USAID-funded SPRING project’s "Pathways to Better Nutrition" prospective studies in Uganda and Nepal, which focused on how nutrition policies are prioritized and financed, and is currently leading work for JSI and SPRING on noncommunicable disease (NCD) prevention and nutrition financing. Prior to JSI, Ms. Pomeroy-Stevens held positions at ICF Macro, RAND Corporation and the Center for Strategic and International Studies (CSIS). She holds a master’s degree in agricultural economics from Cornell University – her thesis was on the dual burden of anemia and obesity in Uzbek women. Dr. Bachani has nearly 40 years of professional experience in the health sector in teaching and health program management at the national level. He has nearly 25 years of experience since 1992 in the Ministry of Health & Family Welfare, Government of India in various National Health Programs relating to Blindness, Disease Surveillance, HIV/AIDS and currently NCDs. He has more than 100 publications in various national and international journals and large number of technical reports and guidelines. In addition to his current position in government, Dr. Bachani is also Director Professor in the Department of Community Medicine at Lady Hardinge Medical College & Associated Hospitals, New Delhi.